Canadian artist Michel de Broin adopts a critical and playful attitude towards common objects and ideas. 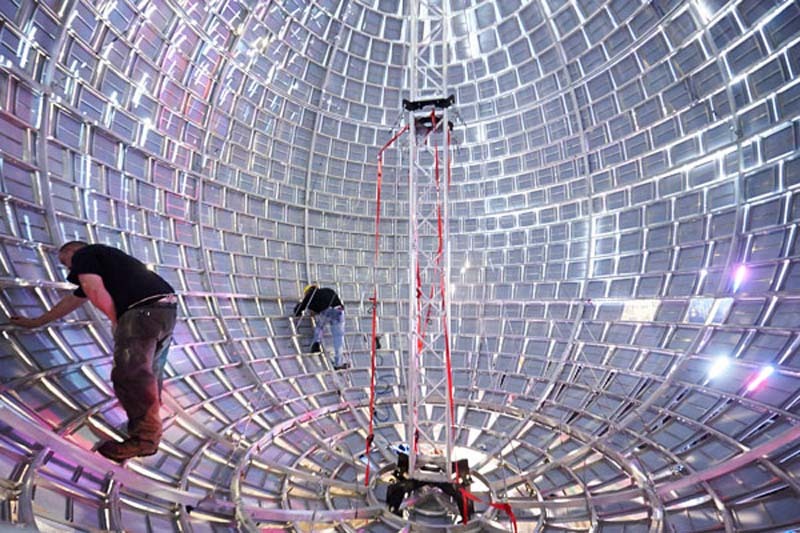 For the Luminato Festival, going on currently in Toronto, Broin created his installation One Thousand Speculations, a 7.9 metre in diameter ball made up of 1000 mirrors that will be lifted 80-feet above the ground of David Pecaut Square each night of the Festival. 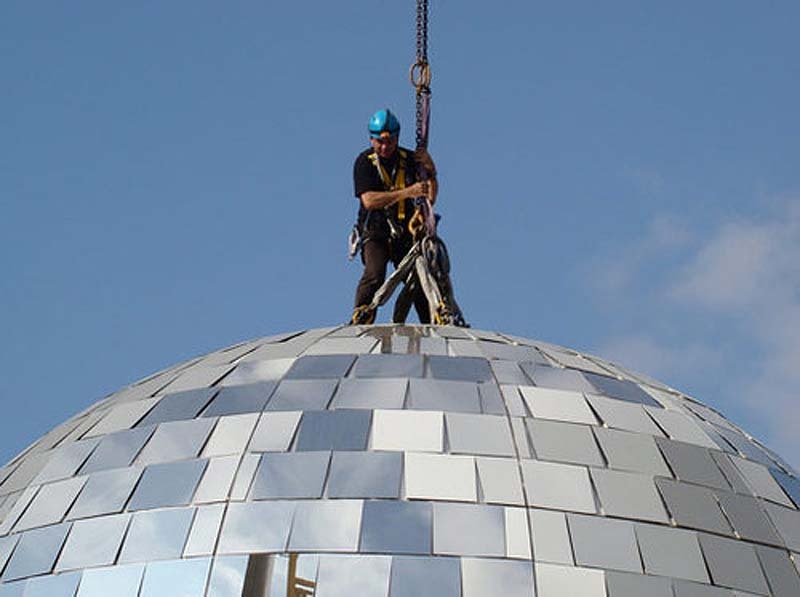 The largest disco ball in the world will spin, twinkle, and reflect against the buildings around the square for the duration of the festival. Fun! Photos courtesy Luminato Festival and Damn Cool Pictures. This entry was posted in Art, Event, Industrial Design, Just Plain Cool, Stuff We Like. Bookmark the permalink.